ANC works with residents to promote positive changes in their community through the development of a community vision and supporting residents in the implementation of an annual action plan to reach that vision. This has resulted in a variety of resident led projects that are working on programming, safety, education, food security and much more. ANC’s have also implemented Resident Action Grants where money is made available to resident led projects. In this past year RAGS continued to support projects such as a Sewing group, a knowledge sharing trip to Niagara Falls and a sports club. Hundreds of Residents have also been actively involved in the Poverty Reduction Talks happening across the City. Steeles L’Amoreaux Strength in Partnership (SSIP) is a group of organizations and residents that works to strengthen the Steeles L’Amoreaux neighbourhood and make it a better place to live. The group was formed in 2006. Steeles L’Amoreaux is bound by Steeles Ave. E. to the north, Sheppard Ave. E. to the south, Victoria Park Ave. to the west and Kennedy Rd. to the east. SSIP started as a group called the Steeles L’Amoreaux Neighbourhood Action Partnership (SL NAP). It was formed after Steeles L’Amoreaux became a ‘priority neighbourhood’ under Toronto’s original Strong Neighbourhood Strategy in 2005. In 2013 the NAP changed its name to Steeles L’Amoreaux Strength in Partnership (SSIP) with more emphasis on being a community-driven network, SSIP began looking for more residents to get involved. Though Steeles L’Amoreaux is no longer a ‘priority neighbourhood’ under the current Toronto Strong Neighbourhood Strategy 2020, there’s still lots of opportunity to strengthen community building. The Health Committee works to improve access to health services and promote good health. Past initiatives have included health fairs, workshops and an info session to connect residents with a health service provider. The Food Security Committee works to increase residents’ access to good food. Past initiatives include trips to a local farm to pick fruits and vegetables, workshops on food safety and food preservation and a backyard gardening project. The Resident Engagement Committee works to increase resident involvement in the Steeles L’Amoreaux neighbourhood. The committee organizes an annual ‘Community Speak’ event where residents gather for a meal and discussion on a local topic. The Employment Committee works to increase employment opportunities and provide employment supports in Steeles L’Amoreaux, particularly for residents facing barriers to the labour market. Previous initiatives include a workshop titled “Women in Construction”, which provided information, personal anecdotes from speakers, and supports available to women who are interested in pursuing a career in the trades. This Committee meets bi-monthly. All members of sub-committees are encouraged to attend the bi-monthly general SSIP meetings, attended by members of the entire network. TTC tokens are available for residents attending meetings and events. SSIP committees have planned several events in the past to engage residents and connect them with resources and services in their community. One of the longest-running SSIP events is the annual Community Speak. The Community Speak has been organized by the Resident Engagement Committee for the past 5 years. It brings together residents from around Steeles L’Amoreaux to take part in a discussion of local importance over a shared meal. Past discussion topics have included community safety, health services, and food access issues. Each year the Community Speak attracts over 100 residents. It’s an active and fun-filled evening for everyone. Child minding and transportation are provided, as well as interpretation. 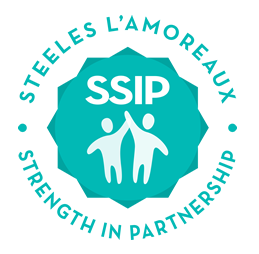 Get Involved in SSIP today and help build a stronger and more vibrant Steeles L'Amoreaux community!